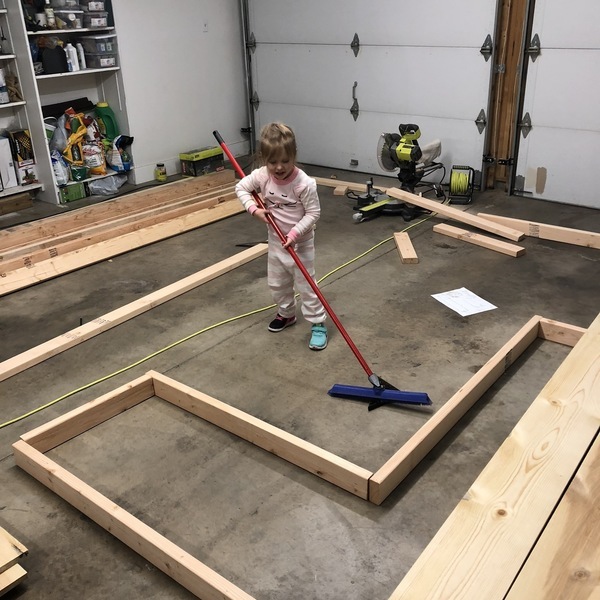 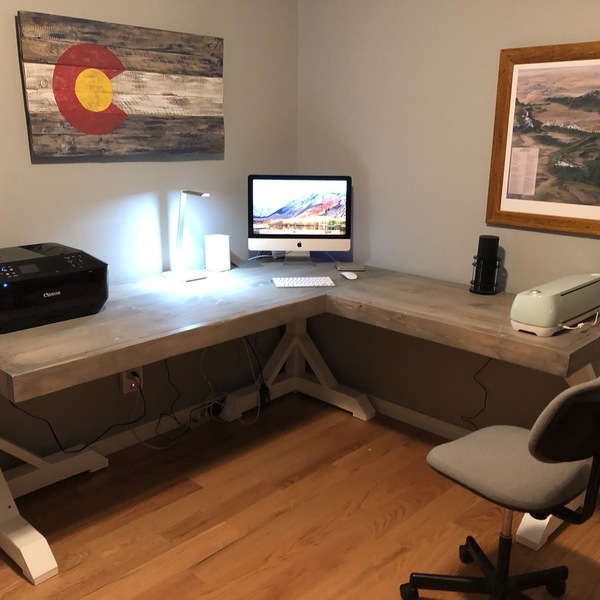 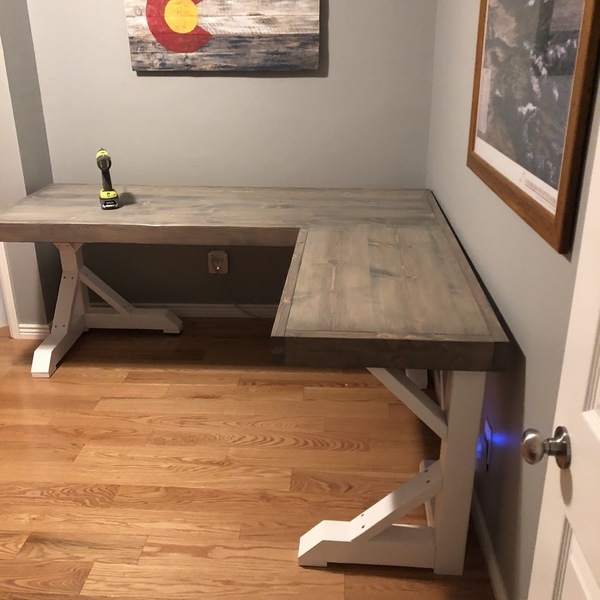 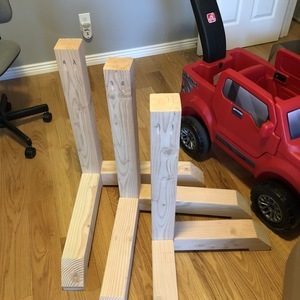 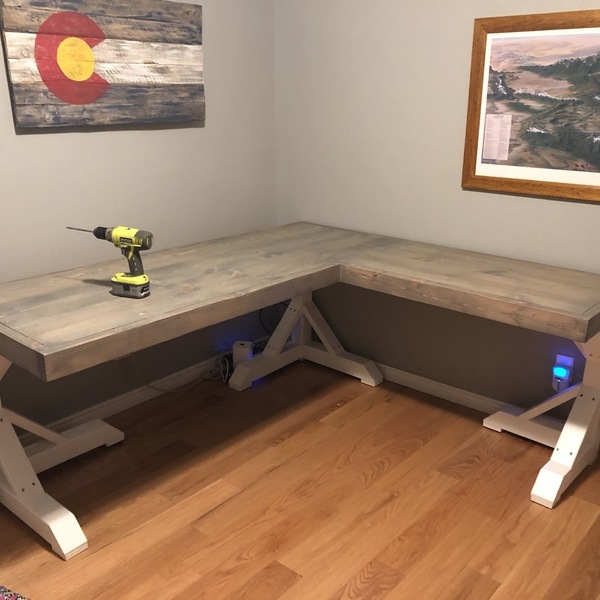 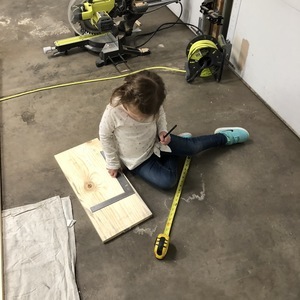 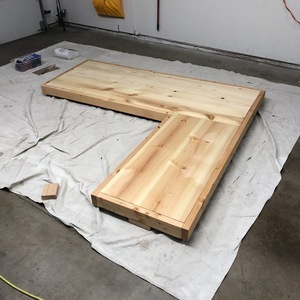 My Daughter and I built a desk to fit our office at our house. 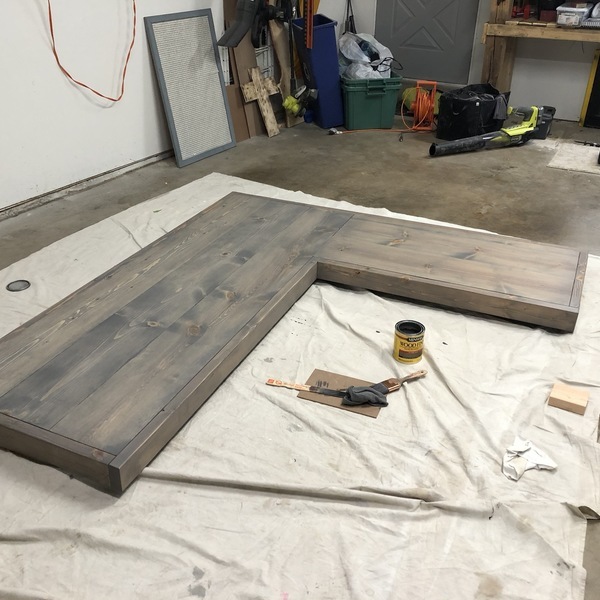 We are very happy with the end results! Awesome us of space and very nice. Great use of the space, tucked away nicely and fits well in the corner!